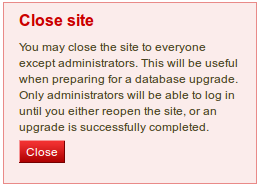 As site administrator you have an additional navigation item, Site administration. 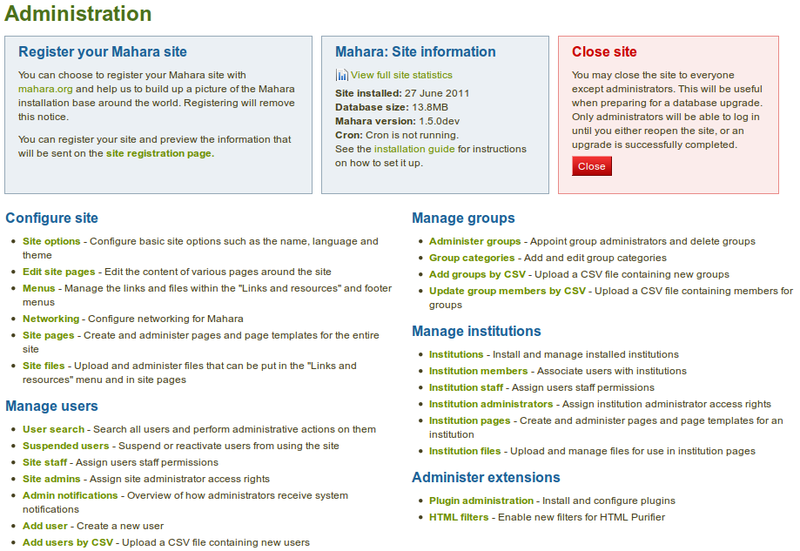 When you click on it, your navigation changes completely to give you quick access to all the areas for the administration of Mahara. 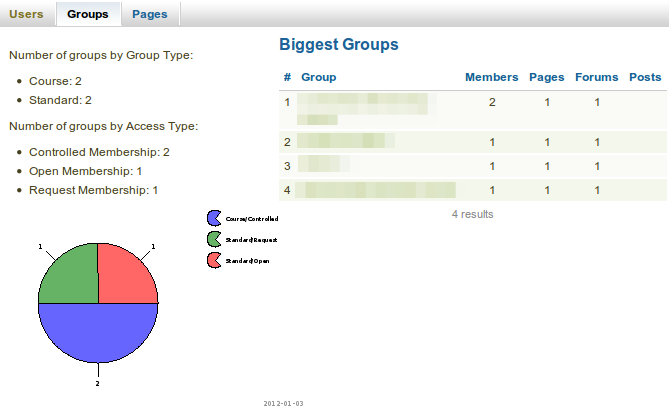 You see all administrative items on the main page of the site administration. 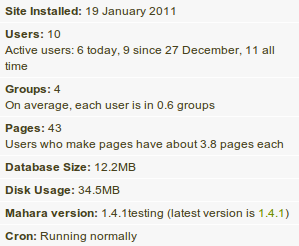 After you have installed Mahara, you may see a number of warnings when you go to the Site administration. 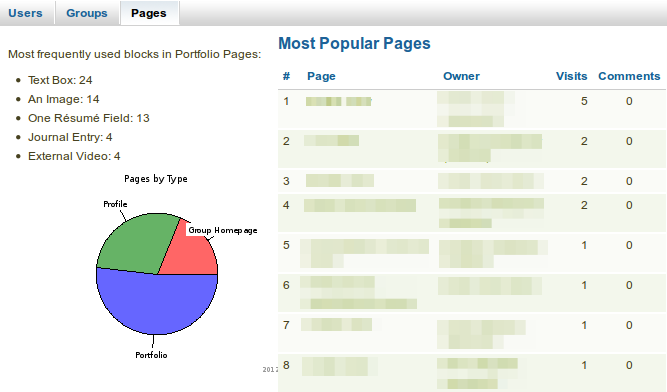 They should all be resolved to ensure that your site is secure and has all the necessary settings. Noreply email address: If the system email address is empty or a malformed email address, you are asked to check and correct it in the system mail address setting <email_settings> . 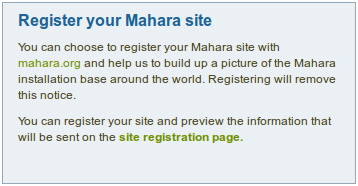 You can choose to register your Mahara site with mahara.org, and help us to compile a picture of the Mahara installations around the world and to get a picture by how many people Mahara is used. 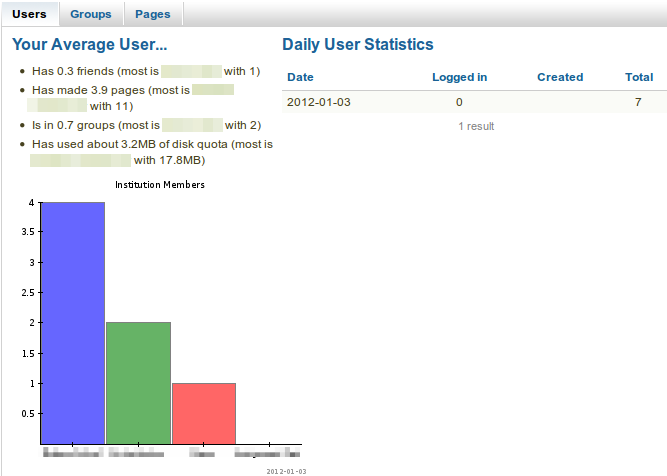 The cron job is very important in Mahara as a number of vital tasks are only performed when it is running. You can find more information of how to set it up in the wiki. 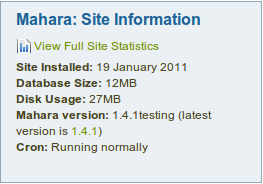 You can view some statistics about your Mahara site that give you an indication of how your site is used.